The MDT team consists of consultant neuro surgeons, consultant oncologists, consultant histopathologist, consultant radiologists, consultant neurologists and clinical nurse specialists. 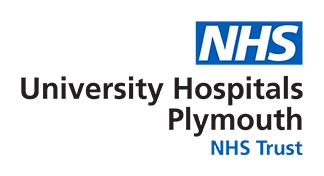 It is held on a Thursday morning every week at University Hospitals Plymouth and via joint video conferencing neuro oncology consultants from Torbay, Exeter, North Devon and Exeter are able to link into the discussion. All newly diagnosed radiological cases of brain and spinal tumours benign and malignant are discussed. This is done by reviewing clinical details of the patient and recent scans, usually MRI (Magnetic Resonance Imaging) and CT (Computerised Tomography). Post MDT if required the patient is contacted by the neuro surgical secretary team and offered an appointment to see one of the 6 consultant neuro surgeons, either by phone or letter depending on the urgency for an appointment. At this appointment you will see the consultant neuro surgeon and a neuro-oncology clinical nurse specialist (CNS). The neuro-oncology clinical nurse specialist will then become a point of contact for you.